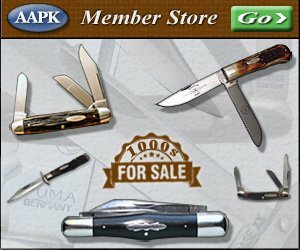 There are a lot of extremely talented folks who make & modify knives. It is an amazing artistic outlet. Sometimes we can get a glimpse of these talented individual’s in action through videos, photos, audio, and/or text explanations about their projects as they progress through them. This section of AAPK includes projects that were documented with pictures & text explanations. Click the links below & check them out. They’re great! If you would like to create a tutorial for inclusion here, we would be happy to work with you and put it on this website. Send an email to bryan@allaboutpocketknives.com if interested.